The Ltd. Edition 75th Anniversary Inspired by “1939” Century Amp is a modern 18-watt all-tube, guitar amplifier with a 12” speaker that revives an Art Deco era masterpiece from Epiphone’s early days in Manhattan. The Epiphone “1939” Century is a faithful replica of the classic 1930s era cabinet design including bent rims, an all-metal handle, 6-point star screws, and vintage style grill cloth but with newly designed all-tube electronics. Plus, the “1939” Century includes three uniquely voiced inputs and an internal bias adjustment for further tone control. In the late 30s, Epiphone was already blazing a trail for what founder Epi Stathopoulo saw as the future—the electric guitar. 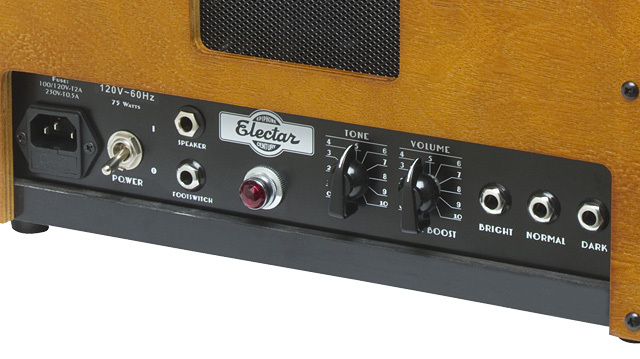 And now in the 21st century, the “1939” Century Amp returns with a modern all-tube amp design with a powerful, full-toned 12” Electar speaker in a compact, easy-to-carry, cabinet that has been featured in every vintage guitar book! The Ltd. Edition 75th Anniversary Inspired by “1939” Century features a modern tube amplifier that pushes a healthy 18 watts through a 12” Epiphone Electar speaker and is powered by two 6V6 and two 12AX7 tubes. The “1939” century has a wide range of controls to suit any kind of guitar or gig with a Master Volume that also has a push/pull “Boost” mode for higher gain and a Master tone control. The Century features three distinct inputs---Bright, Normal, and Dark—to maximize the tone of any guitar: solid body or hollowbody guitar, single coil pickup or humbucker. Whether you have a modern Epiphone or a vintage instrument with a funky pickup, you can find your guitar’s optimum voice by combining the Century’s Input, Tone, and Boost controls. An Internal Bias Adjustment further allows a user to make fine adjustments to the output of the 6V6 tubes. And, the Century’s Extension Speaker Output allows you further control over your tone by giving you the option of using the Century’s all-tube electronics with a different speaker cabinet in the studio or on stage. 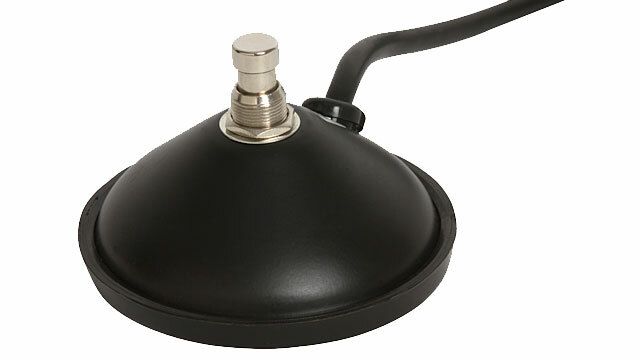 An optional foot switch is available for control for the Master Volume’s “Boost” mode.